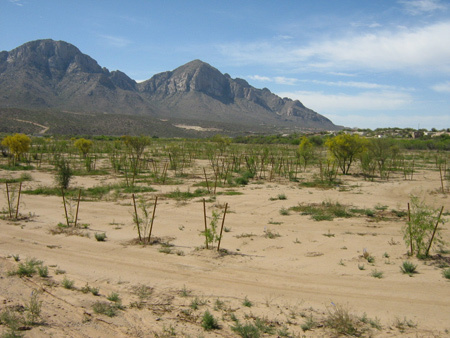 The Big Wash Restoration Project (Project), formerly the “Rancho Vistoso Xeroriparian Restoration Project”, is a 77 acre site located in the Big Wash floodplain, immediately upstream of the confluence with Cañada del Oro Wash. 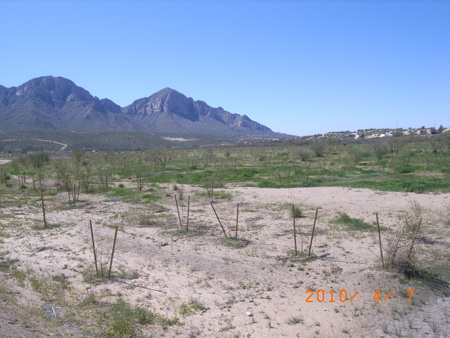 The Project was constructed in 2009 on land owned by the District as part of a Restoration Agreement (Agreement) between Pima County, the District and Vistoso Partners LLC (Vestar). The Agreement required Vestar to restore a retired agricultural field and degraded buffer areas to a diverse self-sustaining Xeroriparian habitat based on nearby reference sites. Restoration activities included re-contouring the land to create microtopography similar to adjacent natural areas, planting of over 10,000 native container and salvage plants and hydroseeding with a native seed mix. The agreement also required construction of a linear park connecting the existing Canada del Oro River Park to Tangerine Road shared use bike path, creating a recreational opportunity for a variety of trail users. 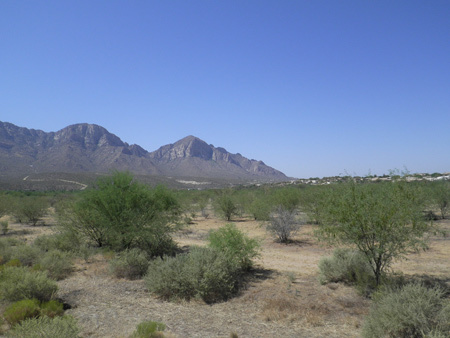 The Project’s maintenance road has been designated a natural trail by the Town of Oro Valley, providing wildlife viewing opportunities to hikers and birders, with access provided in the main channel of the Big Wash for equestrian users. Click the image above for a larger, PDF version of the map. To restore ecosystem function to the degraded portions of the Big Wash floodplain by establishing a self-sustaining riparian habitat that will be similar in hydrology, topography, and vegetation to what is found in the undeveloped portion of the Big Wash floodplain. The entire Project, including five years of maintenance and monitoring, was funded by Vestar as part of an Agreement to construct the Oro Valley Marketplace. To achieve this goal, soil from the retired agricultural field was removed to increase the capacity of the floodplain terrace to convey floodwater. The land was then re-contoured to create an undulating landscape of channels and upland areas. Channels were located downstream of culverts to capture stormwater from the adjacent Oro Valley Marketplace and drainage from upstream tributaries. To achieve this goal, soil was excavated from the retired agricultural field to increase conveyance capacity of the floodplain terrace. The land was then re-contoured to create an undulating landscape of channels and upland areas. 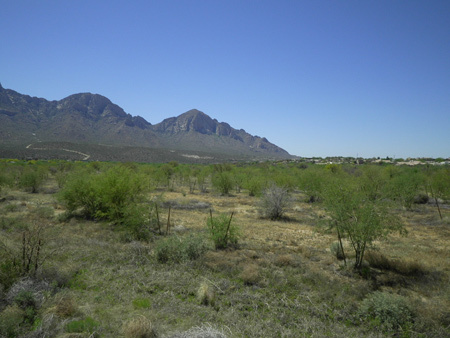 Channels were located downstream of culverts to capture stormwater from the adjacent Oro Valley Marketplace and drainage from natural tributaries flowing onto the site from the north. 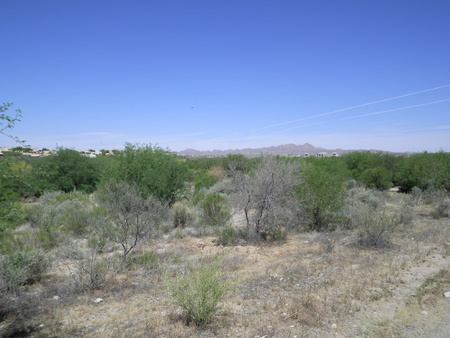 Degraded grassland-mesquite woodland was planted at 65 trees and shrubs per acre. Approximately 10,000 container and salvage plants were installed with drip irrigation. Following planting, the site was hydroseeded with a native seed mix. Installation of the irrigation system, container plants and site grading was completed in Winter 2008. Hydroseeding was delayed until Summer 2009, to coincide seed application with the onset of the summer rainy season. Vestar was responsible for Project maintenance and monitoring for a period of five years to ensure the established success criteria were met. The monitoring period ended in May 2014, officially transferring responsibility for long-term management to the District. Responsive and well-timed maintenance activities are critical to the success of any ecosystem restoration project, particularly within the first five years after construction, during initial plant establishment. This time period is referred to as the short-term maintenance period. During this time, plants are most susceptible to drought, competition by weeds and herbivory (browsing by wildlife), all of which can influence the overall success of the Project. A maintenance manual was developed to assist Vestar’s landscape contractor with site maintenance, which includes supplemental planting and seeding, checking and repairing irrigation lines, weed and erosion control, and remedying mosquito problems. Approximately three years into the short-term maintenance period, Vestar began to wean plants from irrigation and in 2013 the irrigation system was turned off. This officially transitioned the Project into its long-term maintenance period. Long-term maintenance activities include repairing erosion, continued weed control, thinning invasive native species such as desert broom, and controlling mosquitoes. Monitoring allows managers to evaluate how the Project is progressing toward specific goals identified in the Restoration Report and to identify maintenance issues. The Report established a number of criteria for evaluating Project success based on vegetation characteristics. Monitoring of these characteristics began in 2009 following Project implementation. Plant survey transects are monitored for vegetation cover, density and species richness, and percent exotic weeds. Wildlife utilization and other general observations such as seedling recruitment, plant mortality, ponding and soil erosion are also noted. The Project has participated in the Tucson Bird Count’s (TBC) Park Monitoring Program since 2009. 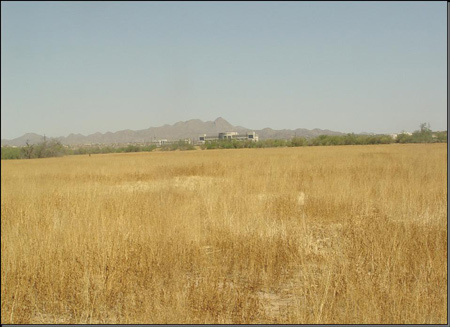 In recent years, the Project site has become a birding hotspot, gaining recognition by Tucson Audubon Society (TAS) as a “Great Place to Bird in Tucson”. This recognition stemmed from data collected through the TBC. In a span of seven years, 62 species of birds have been identified, and the list keeps growing! The site has been successfully attracting several Sonoran Desert Conservation Plan Priority Vulnerable Species including Abert’s Towhee, Bell’s Vireo and Rufous-winged Sparrow. Other fauna that frequent the site include coyote, deer, javalina, gray fox, bobcat, diamondback rattlesnake, common king snake, Couch’s Spadefoot and regal horned lizards. In addition to evaluating biological functions of the site, changes in channel and floodplain geometry was monitored through an annual survey of cross sections taken from the post-development floodplain model. During the monitoring period, re-constructed channels have generally stabilized, showing minimal change in streambed elevation. Channel monitoring ended in 2014, although the District will continue to qualitatively monitor and may resume quantitative monitoring if noticeable erosion is observed. The District will continue to monitor vegetation at the Project site into the future.